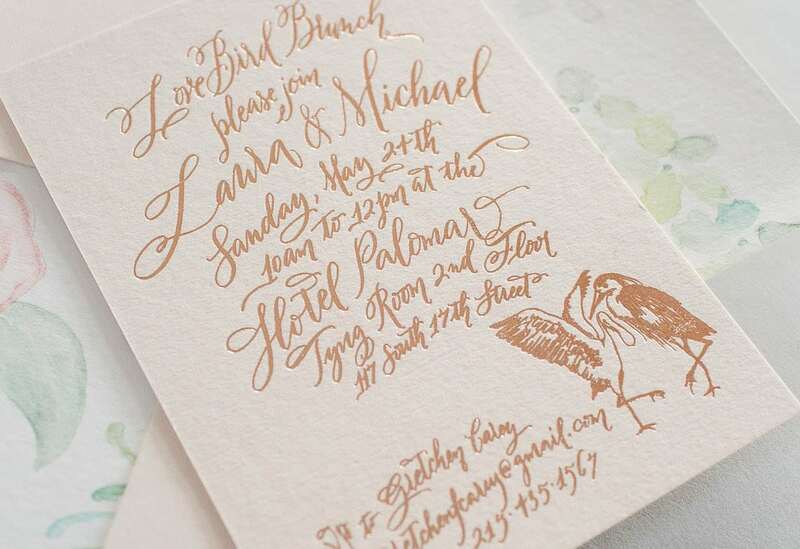 Every pair of lovebirds needs a lovebird brunch! 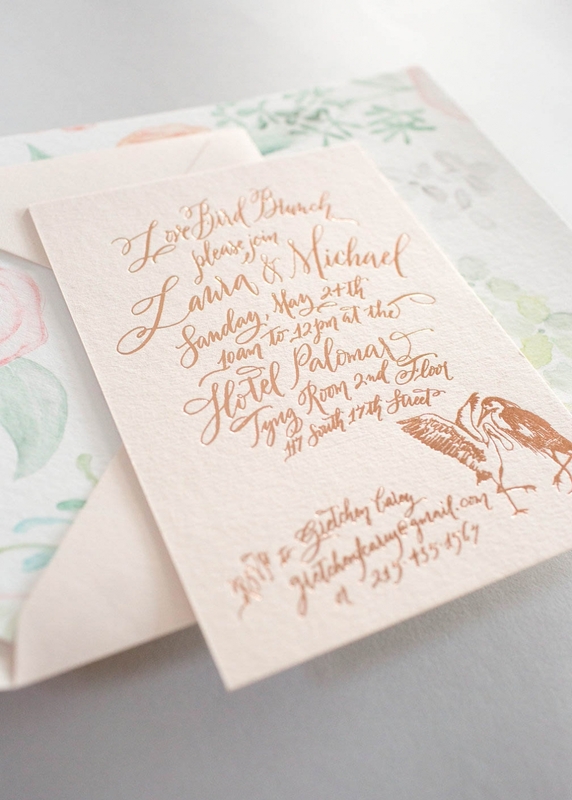 Laura + Michael selected a soft palette of rose gold foil on luxuriously thick blush paper for their Sunday brunch + had us swooning all the way home from the printer! 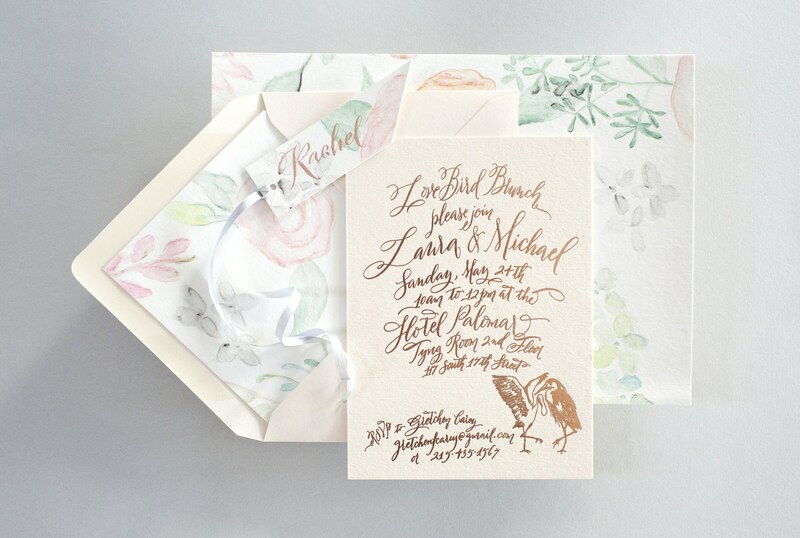 Matching blush envelopes, shown here with a hand-painted liners + guest tags. One extra detail that further personalized their design was the creation of a custom-illustrated pair of birds that represented the bride and groom, dancing through life together. Aren’t lovebirds the sweetest?